A couple of months ago, Bride and Breakfast messaged me about an editorial that they’re working on with Solaire. When they sent the concept and the look, we couldn’t say no because it was a perfect fit with our style of wedding photography. Another great thing about it is that we also worked with the same team that we gathered for our 2016 Pantone Editorial. The shoot was done in one of Manila’s most luxurious hotels, the Solaire Resort and Casino. With marble floors and posh furnishings, we did most of the photos at the Chairman’s Villa which is their grandest room. When we entered, we were welcomed with huge high ceiling rooms and a private pool. I can almost imagine how a bride would feel pampered in this palace on the wedding day. Actually, bridal editorials are fairly common these days but including a boudoir session is something that we rarely see. In fact, it’s almost always a part of our schedule during weddings with the goal of making our brides feel more beautiful and confident. 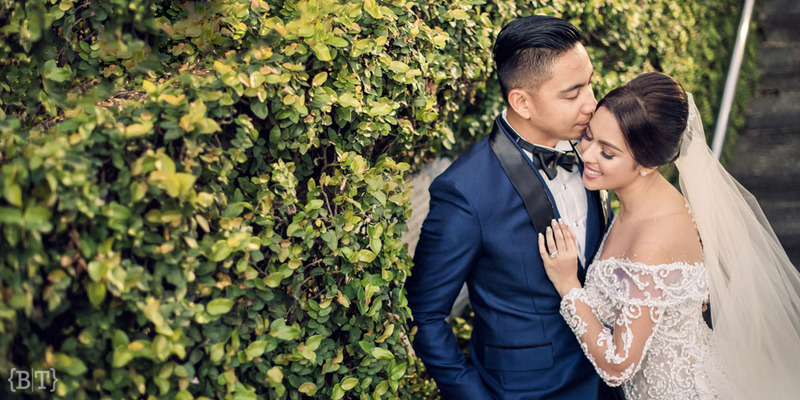 By giving them tastefully captured photos, they can look back and remember how gorgeous they were on their wedding. I hope you can grab a thing or two from this editorial that you can do for your own wedding. Enjoy!